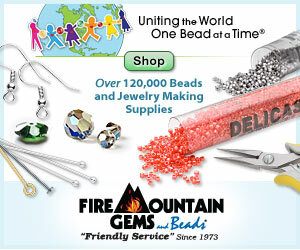 Congratulations to Amy of Amybeads, who has won the Faux Crystals bead giveaway! For this draw, I asked what your all time favorite Swarovski color was, and your answers were so varied! Montana sapphire was a popular choice - my personal favorite. 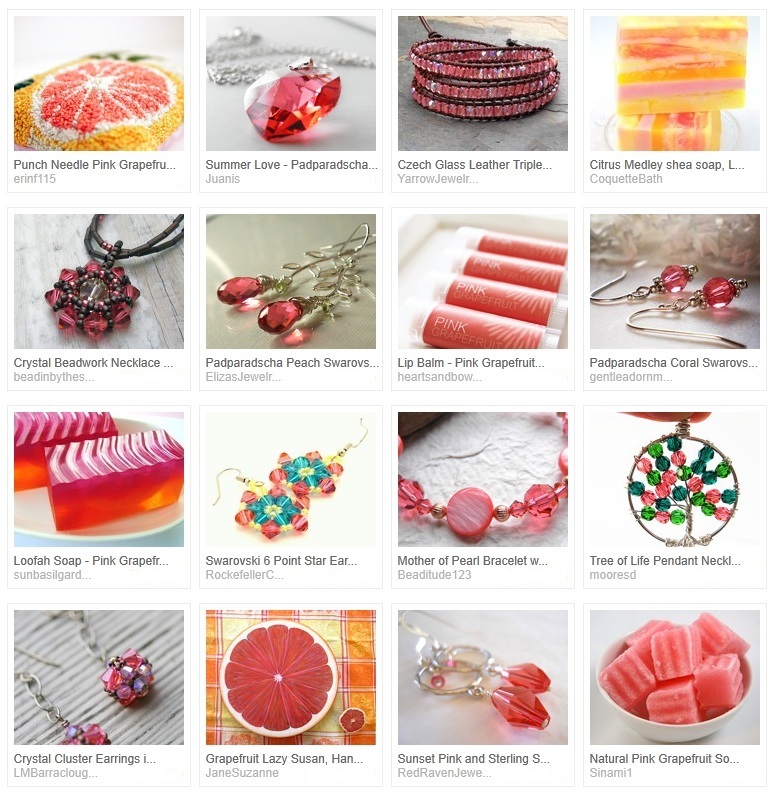 I somehow knew that someone would choose padparadscha - it’s a great color with a cool name. Padparadscha crystals get their name from the orangey-pink variation of sapphires. Both the natural and manmade colors are citrusy and warm - a perfect sunset color. Thanks so much to everyone who entered the draw, and happy beading! ah, yes! i am one of the legion who loves Montana Blue the best, but for me, Padparadscha is a very, very close second. what is it about both of those colors? for me it's that they each almost encompass a whole family of colors- in Montana i see blue, green, and teal; in Padmaradscha i see red, orange, and pink. all at the same time! i think maybe my mind can't resolve the different color impressions each color gives me, and that must be why i find each so intriguing. a well-deserved congratulations to Amy! I've never heard of that color before, but it's very pretty! Congrats to Amy! I get antsy about using padparadscha because I just can't resolve the orange/pink issue. Maybe after I have more experience with a wide variety of color -- some people think I'm nuts for making beaded jewelry with colors that I don't particularly like, but it's great for creativity. I can have lots of fun making things in colors that are not "me"; it gives my eyes something new to look at. Shoot, now I'm gonna have to put down my Montana blues and see what I can do with a padparadscha rivoli... hmm... Inspirational as always, Mortira.